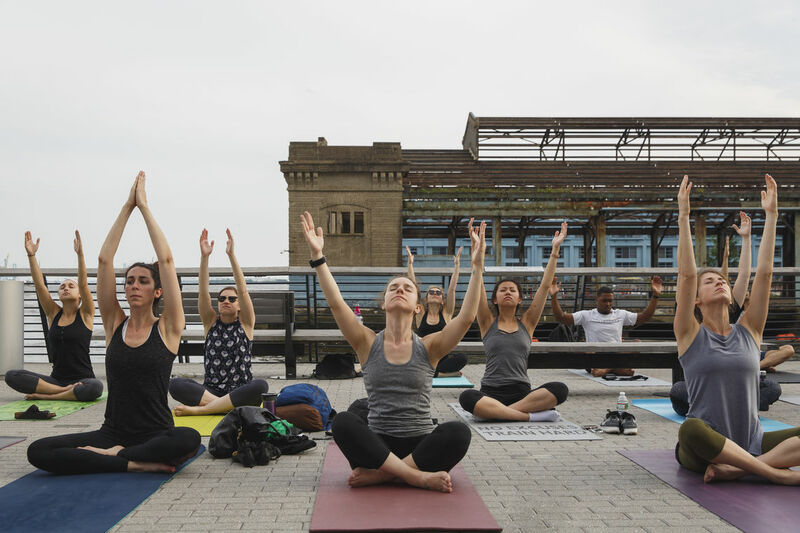 Against the stunning backdrop of the Ben Franklin Bridge, Philadelphia’s favorite free workout series, Free Yoga on Race Street Pier Presented by Independence Blue Cross (Race Street and N. Columbus Blvd.) will return Friday, April 19 through Tuesday, November 12. Now in its sixth season, the series, organized by the Delaware River Waterfront Corporation, and coordinated by yoga instructor Malik Wilson, will offer more than 300 free yoga classes this season with morning classes for the early risers and evening classes for yogis who enjoy a post-work workout. Review our full class schedule below. In the case of inclement weather, yoga instructors will cancel class 30 minutes before the scheduled start time. For regular updates about Free Yoga on Race Street Pier follow @YogaOnThePier on Facebook.